Is a multichannel H.264 high-definition encoder It can perform up to 4 high-definition and low-bit-rate audio and video encoding functions on a single board. Support 4-channel audio and video coding, encoded audio and video ES packet by TS flow through an IP channel to UDP/RTMP output, in device management, support Web network management, and support for online control program upgrades. GOSPELL GN-1738 transcoder is highly competitive SD video conversion unit with best-in-class video quality. It can convert up to eight channels of MPEG-2 (or MPEG-4 AVC) SD live video streams to MPEG-4 AVC (or MPEG-2) video formats. The GN-1738 provides a wide range of real-time transport streams input options, from satellite, DVB-ASI and TS-over-IP inputs. This allows it handle any real-time video source, and transcoding outputs via IP is also introduced, enabling a highly reliable video service to be delivered. In addition, the GN-1738 supports Web and SNMP-based management for conveniently local and remote management as well as maintenance. 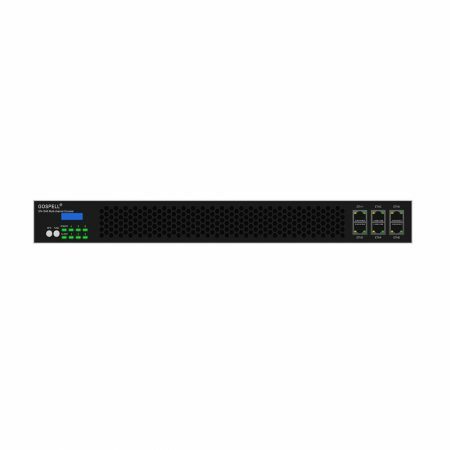 The GN-1854 features versatile functions and compact structure in 1RU chassis, provides up to four channels MPEG-2 and MEPG-4 AVC encoding for both SD and HD programs, available in dual-channel or quad-channel SDI and (or) HDMI input options, dual DVB-ASI transport stream inputs and IP output, PSI/SI processing, multiplexing and re-multiplexing outputs over IP interface.